Instructions for connecting to Telegram via VPN for different devices and OS. 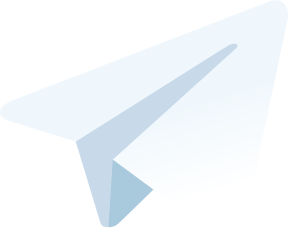 You can connect to the Telegram messenger, using the VPN. But for greater user convenience, the program supports the ability to work through a proxy, both in applications for mobile operating systems (Android and iOS), and in desktop versions (Windows and MacOS). On this page we will tell you a quick and easy way to bypass the blocking of your favorite application. Let’s find out the difference between working through proxy and vpn. Both types of connections create a virtual “tunnel” between your device and the service you are connecting to, and hides your IP address. However, the proxy works rather slowly and is less reliable in terms of data encryption. VPN wins in speed and reliability. Disadvantages of using VPN also exist: most often you need to pay for VPN, in addition it is more difficult to configure. 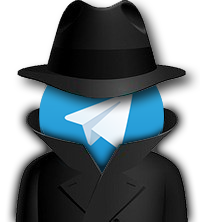 In the case of the Telegram, it’s more convenient to use a proxy: the settings will only affect the messenger, and will not affect other applications. And to connect it much easier – in a couple of clicks with the @proxy_socks5_bot. If you want to use a vpn connection, you will need to install a special application for the phone, or configure the network on the computer. If you are at a loss with the choice of a VPN service, we recommend that you connect the VPN99. This is the best solution – full functionality, and the lowest price in the market. Bypass blocking of the Telegram using VPN from different devices. The authorities of many countries are making attempts to regulate the Internet sphere, including messengers. The Telegram were blocked in various periods in Iran, China, Saudi Arabia and Indonesia. The probability of blocking exists in any country at any time. 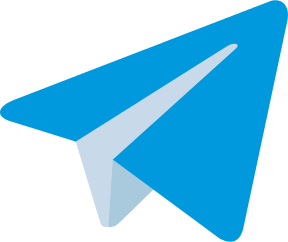 Since the creator of the service Pavel Durov supports the idea of free communication, the messenger has the option of connecting via proxy. How does this technology work in case of locks? A VPN server located in another country will simulate a user’s connection as if he were in that country. The data transfer is carried out via SOCKS5 protocol – it’s the most advanced and protected protocol for today. Customers will be able to continue to communicate freely, despite government bans. Below is a guide to bypass locks of Telegram for popular operating systems: Android, iOS, MacOS, Windows. The process is fairly simple and willn’t take you much time. It will be necessary to add a Telegram-bot @proxy_socks5_bot, which will automatically apply the settings. Send to the Telegram bot @proxy_socks5_bot command “/ start” and select the desired language. How to disable VPN in Telegram? on the computer in the settings, look for the Advanced Settings section, Connection type, and select Auto. In case of an application blocking, it will not be possible to use only the proxy server in the Telegram. To download a blocked application from the Play Market or the App Store, you will need to use a VPN server. Although with the advent of Telegram X any locks aren’t terrible – download the official alternative application, or any other alternative messenger based on Telegram.